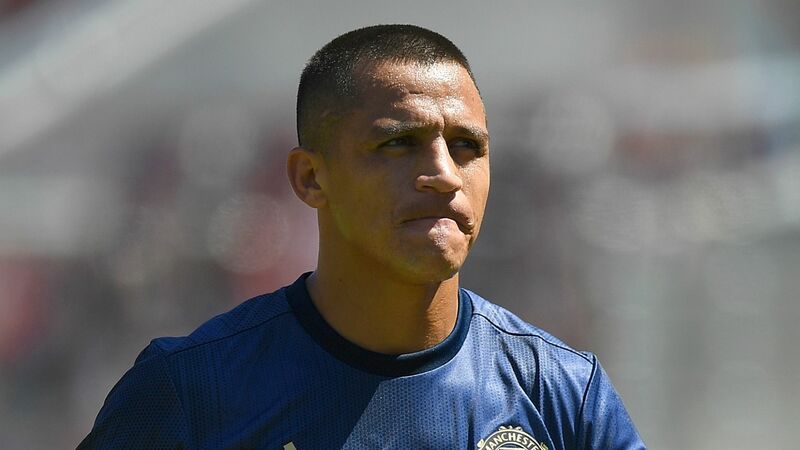 Back In January, Manchester United completed one of the most shocking signings of recent years, bringing in the Chilean Alexis Sanchez from Arsenal. The signing was met with huge excitement from United fans, and there were large expectations for the winger. However, Sanchez has struggled since his arrival, and his position in the system is seemingly undecided by Mourinho. Since his arrival, Alexis Sanchez has played along all three positions behind Romelu Lukaku in a 4-2-3-1 and both sides beside him in a 4-3-3, with his position commonly changed by Mourinho mid-game, in a bid to try and work out where Alexis is best deployed. At Arsenal, Sanchez was regularly used as a Left Winger, which is a position he has started in at United. However, Sanchez seems out of place on the left and has lost the ball countless times trying to be direct by cutting in on his, stronger, right foot. This may be down to the attacking Paul Pogba, who operates on the left hand side of a midfield three. Pogba’s tendency to roam has lead to the two clashing positionally, causing both to struggle when trying to help improve United’s attacking output. This gives Mourinho a conundrum of whether to try and continue to operate both on the same side of the field, or sacrifice one of the duo’s best positions in order to stop the clashing. The easiest fix would seemingly be to move Paul Pogba to the right hand side of the trio, however the Frenchman is known to work best on the left due to his ability to cut in on his right and crack shots of from range. However, Pogba was used in a more reserved role at the World Cup on the right hand side of midfield, this time in a two with N’Golo Kante in a 4-2-3-1. Pogba enjoyed massive success in this role, picking up a goal and assist, including an extremely tidy finish in the final against Croatia. Therefore, the easiest fix in this situation would be to simply deploy Pogba on the right hand side of United’s midfield, with the more reserved Fred playing in behind Sanchez. This isn’t the only problem with Sanchez’s position though, and much debate has been sparked over the game time of 2015 Golden Boy winner Anthony Martial. The 22 year old made 45 appearances last season in all competitions, however these appearances included limited minutes, with most coming from substitute cameos. This has frustrated many Red’s who believe that Martial should be utilised in order to aid his growth, and fulfil his, seemingly, extreme potential. This leads to another conundrum for The Special One, who will recognise that Martial and Sanchez will both want play on the Left Wing in the upcoming 2018/2019 season, which clearly isn’t possible. One solution for the Portuguese manager would be to move Sanchez over to the right hand side and play Martial on the left flank. Sanchez did play on the right primarily in his career for both Udinese and Barcelona, and only made the switch to the other side when he joined Arsenal in 2014. Sanchez played well on the right in these spells, coming third in the scoring charts in the 2013/2014 La Liga season, only topped by Ronaldo, Messi and Diego Costa in the field. This shows that Sanchez can provide from the right hand side, or at least could do so a few seasons ago. There is no doubt he may not be able to provide this numbers from this position anymore though, with his game now hugely reliant on cutting inside, which he is unable to do on the right wing. However, this may also impact Romelu Lukaku more positively, with Sanchez forced to cross in on his right to the big Belgian, who I’m sure will be wanting more service than he received up top last season. It will be interesting to see how Mourinho balances his attack this season in order to get the best out of the wealth of talent at his disposal, and whether or not he will rotate the front line regularly in order to try and find success.